"I am feeling compelled to share. To start, I have lost 20 pounds and 16.5 inches! An awesome accomplishment in itself but I really want to share the background story…. I had spent the last 3 years in and out of doctors' offices with stomach problems, scary swelling, unexplained and rapid weight gain, and an overall sense of weakness and un-health. During all of this testing I found out I had hypothyroidism and was put on meds. Even medicated, though, my symptoms continued. Things finally came to a head for me when my endocrinologist told me I just needed to eat less and exercise more. He then then wished me good luck as he urged me out the door. 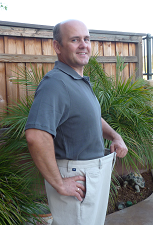 I did what he told me…I ate less (1200 calories/day for 30 days) and exercised more. At the end of it, I had actually gained 2 more pounds. And none of my other symptoms had reduced. So 4 months ago, I changed my approach and reached out to Tina, a professional trainer, yoga instructor, and certified nutritionist. What occurred next, blew my mind. Tina actually took the time to get to know my situation and then, after tabulating all of my data (including information about my age, symptoms, food intake, exercise routine, typical work day, approach to living, stresses, health issues, etc etc) she did a 4 page write-up for me detailing her thoughts on what I needed to do. Never had a medical doctor spent this much time with me. I was already inspired. Long story short, Tina came up with a recipe for living that transformed my life. And the pounds just started to fall off while my sense of well-being grew. No counting calories. Just a new approach that is based in self-awareness. Ultimately, this change came about because Tina was willing to work with me to spend the time to figure out what was really going on with me -- the individual. Tina, your wisdom and skills are amazing and needed. And I want to share with everyone that there are trained professionals like you out there when just western medicine isn’t enough. Feeling grateful and inspired." 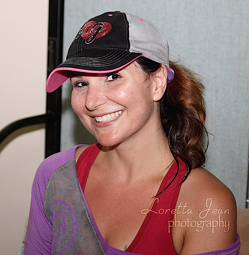 "Tina is a TERRIFIC personal trainer! She will customize a workout just for you--I get bored easily so she always gives me a different challenge each time we work together. We talk and laugh through the session and I'm always surprised at how quickly the time goes by! In just a few short months, as my body started changing dramatically, people started noticing my toned arms and tighter abs and I dropped several sizes. I attribute my new tighter body to working with Tina, and I continue to shed inches off my body. If you'd like to see how she can help you change YOUR body, check her out." 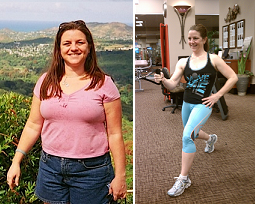 "I came to Tina with the desire to lose weight and feel healthy. 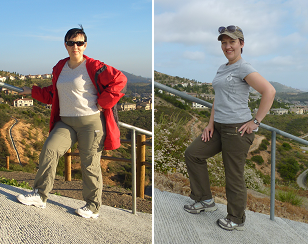 After training with Tina for 7 months I lost 25 pounds and went from a size 16 to a size 10! Tina is so creative. After 2 years, every time she still has new and more challenging exercises for me. She pushes me to where I could not push myself and is a genius at breaking apart challenging exercises into smaller stages so that you can gradually accomplish the exercise that you never thought you would be able to do. She gave us an exercise and diet plan to follow at home and monitors our food intake. After seeing my results from working with Tina, my husband wanted to get in shape too! So, now we train with Tina together on his lunch break. It is a time for us to be together, to connect, during our busy lives with work, children, and school. We work hard but have fun at the same time!" 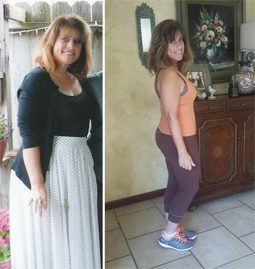 "I have been training with Tina for 1 year and have lost 6 inches in my waist! I am still finding muscles I never knew I had! I feel stronger and healthier. Tina proves that fitness can be achieved without belonging to a gym or owning elaborate equipment. We use free weights, bosu, medicine balls, kettle bells, stability balls, pull up bar, step, boxing, and most importantly, our own body weight to get in shape. Besides becoming so much stronger, my endurance has greatly improved. My family and I love to ski. Before we started training with Tina, when we went skiing for 1 day, Lana and I would have to take breaks every half hour and would be completely exhausted the next day. After training with Tina, this winter we were able to ski for 3 consecutive days without having to take any breaks and were not tired or sore the following days."